ILLUSTRATION: NOAH KROESE: Yellen like a felon. Hey, look: An Investing.com comic! It's been several weeks since the last one, and I was glad to get back into the swing. 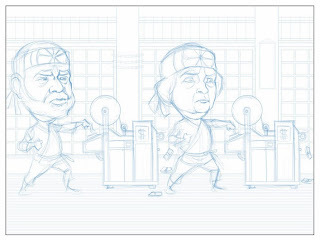 The one day deadline is a bit of a grind, but I like that they're challenging and they keep me sharp(ish). This week's subject deals with the ascension to the FED throne of Janet Yellen. She has a long list of bona fides and will likely do a fine job in a difficult position. The subject is also about the "tapering" of Quantitative Easing, which has been the cause of much debate, hand-wringing and market uncertainty (wait...has it been the cause of uncertainty?). 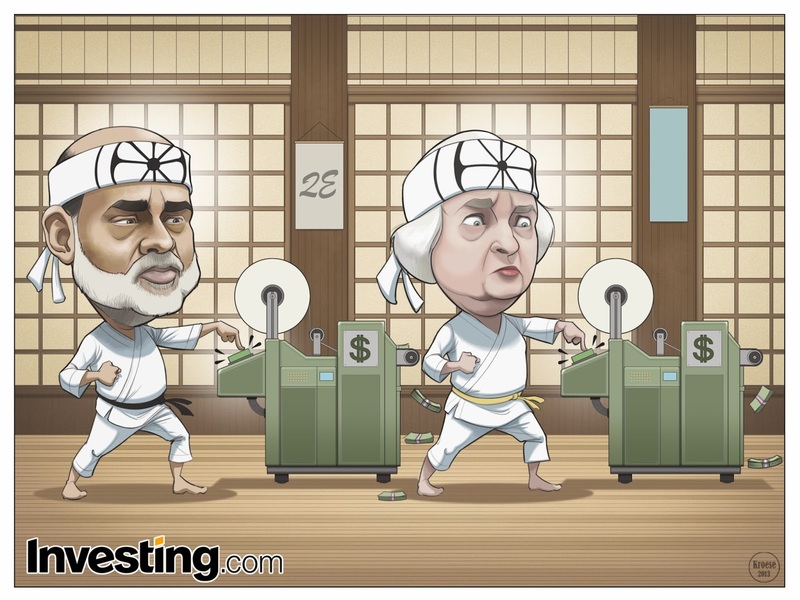 The comic itself (as always, penned by the team at Investing.com), is a reference to "The Karate Kid", the 1984 classic movie in which Ralph Macchio learns martial arts from his enigmatic neighbor, played by Pat Morita. 80s montages, moral lessons, and jean jackets ensue. The drawing: More fun than a Kenny Loggins concert. 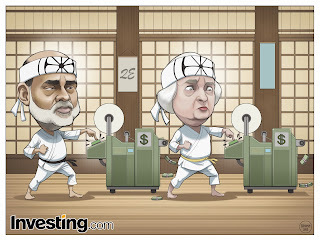 Yes, I drew Bernanke for the 16th time (that's the actual number), but I got to draw him doing karate and looking sensei-like. I imagine, assuming my work with Investing.com continues, I will draw Janet Yellen just as many times. Probably not wearing a karate uniform every time (I'll keep my fingers crossed, though). I also enjoyed drawing the environment. 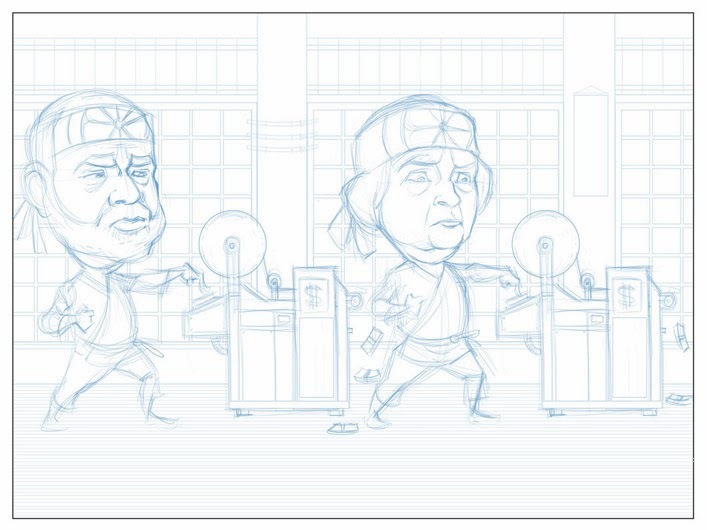 I've never drawn a dojo before, so it was new and interesting. Also, this comic ended up being a lot lighter in color and tone than most. I'm not sure if that has more to do with the fact that financial officers hang out in tomb-like buildings all the time or if the darker colors are more indicative of my troubled psyche. Maybe both. At any rate, I'd give this comic four Crane Kicks. Keep your hands and arms inside this comic.